Proctors’ range of liquid fertilisers for lawns are easy to apply and provide an instant hit of vital nutrients to help get your lawn into shape. Our liquid fertilisers are made from cold pressed seaweed, providing a natural, sustainable source of nutrition packed with all the goodness your lawn needs for healthy, continuous growth. 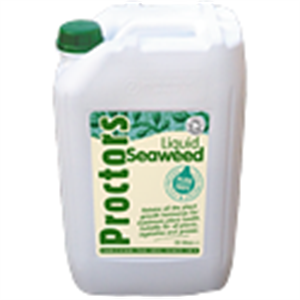 Proctors Liquid Seaweed Fertiliser should be diluted by a ratio of 1:40 with water and can be applied using a watering can or sprayer, monthly or every 6-8 weeks for amazing results. You can buy Proctors’ full lawn feed range direct from our online shop or by calling us on 0117 311 1217. For more information, please call us or fill out our contact form for a quick response. The cold pressing process used to produce our liquid seaweed fertiliser for lawns helps to retain all of the natural phyto-hormones (Auxins, Betaines, Cytokines and Gibberellic acid) essential for photosynthesis and healthy plant growth. This means your plants get a serious nutritional kickstart from an entirely natural, organic source. All of the seaweed used for our liquid fertilisers for lawns is harvested by hand, Soil Association Approved and part of an environmental management plan meaning you can get a stronger, healthier, more attractive lawn with an entirely clear conscience. Proctors has been in business for over 200 years, supplying superior lawn care products to everyone from domestic gardeners to Bath Rugby Club. 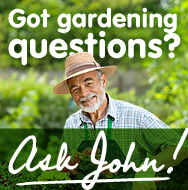 Those two centuries of experience mean our products have been refined to an unbeatable quality as well as giving us the depth of knowledge about lawn care you need to get your lawn growing strong. To buy liquid fertilisers for your lawn, or any of our other products, head to our online shop or give Proctors a call on 0117 311 1217. For further information, please call us or fill out our contact form for a quick response.